Sunset Landscape. Signed "G SEBIRE" l.r. 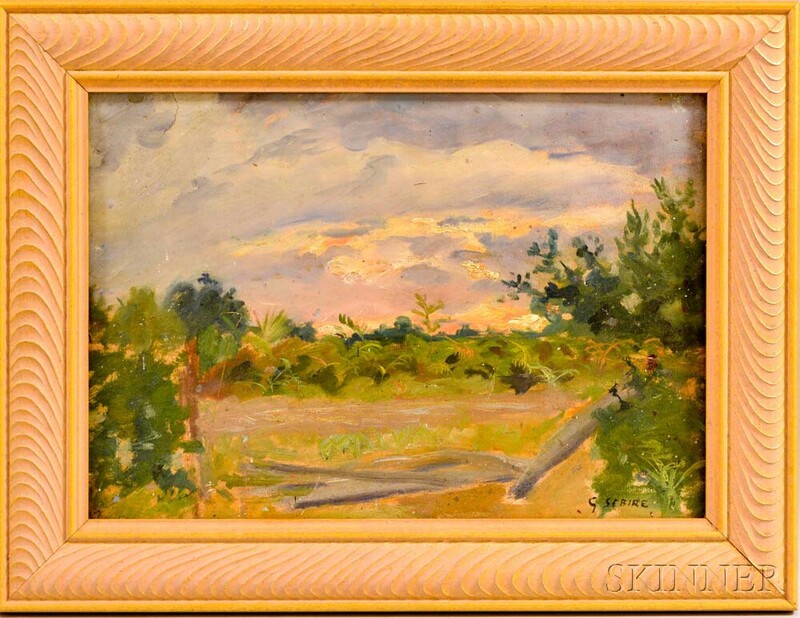 Oil on canvasboard, 12 x 17 1/4 in., framed. Condition: Surface crack to u.l. corner, scattered abrasions and accretions, surface grime.